Blue tends to compliment most men’s complexions, so you can be sure you will look good. The luxurious textured flannel fabric is warm and comfortable, the perfect choice for autumn and winter as temperatures drop. Consider adding a waistcoat for an additional layer of protection from winter winds, as well as being a stylish addition in its own right! 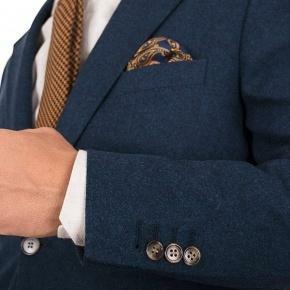 The light Super 100s woolen flannel by the Italian fabric experts Vitale Barberis Canonico is luxuriously soft and creates a blazer with fantastic drape and a comfortable, cosy feeling. 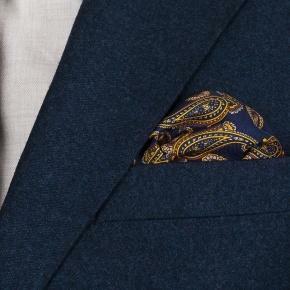 The versatile navy colour is super easy to dress up or down depending on the need and occasion. 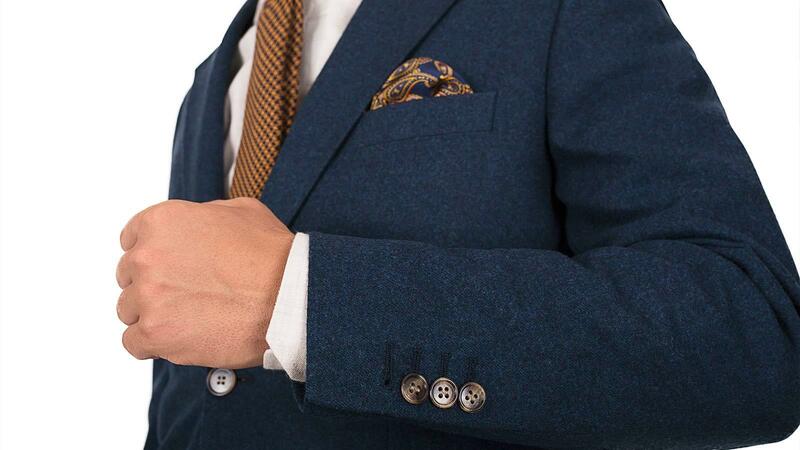 Prepare to face winter like a true gentleman with a click on “Customize now”. 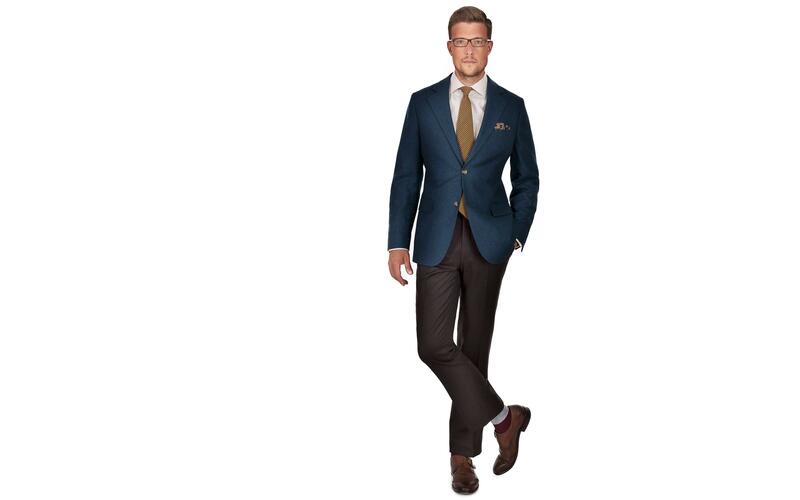 FREE SHIPPING & RETURNS Tailored and delivered by June 05. 100% SUPER 100s WOOLEN FLANNEL Autumn / Winter (11 oz). 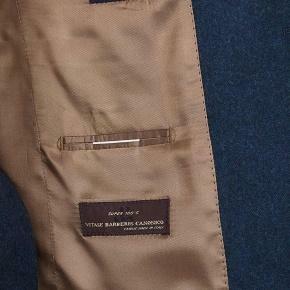 Made in Italy by Vitale Barberis Canonico.